Don&apos;t fear the cold this weekend. FestivICE presented by York Traditions Bank returns with thousands of pounds of icy fun for the whole family. That&apos;s just one way to spend your weekend in York. Other less frigid options include rounding up the kids to see Daniel Tiger live and the chance to enjoy an Irish-American super group perform. Have a Grr-ific night with the kids on Friday while enjoying the Daniel Tiger&apos;s Neighborhood Live show at the Strand Capitol Performing Arts Center. The show brings to life the world from the hit TV show while conjuring memories of "Mister Rogers" as Daniel Tiger and his friends fill the audience with glee. Embrace the cold this Saturday at FestivICE. 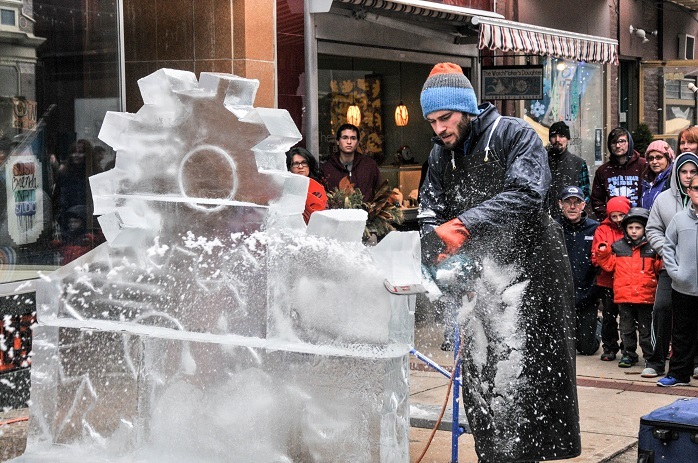 The winter ice festival comes to Downtown York this weekend and brings with it 18,000 pounds of interactive ice. The chilly entertainment includes live ice sculptures, music and fire pits for roasting marshmallows. Plus, you might even run into the Yeti! The Susquehanna Folk Music Society is bringing the Irish-American super group Pride of New York to town on Sunday for a 7:30 p.m. concert at the Unitarian Universalist Congregation of York. The group features four New York musicians considered among the best-known players on this side of the pond. Standard admission is $27; students are $10.